My first introduction to the Mirai Clinical brand was when I received their Purifying & Deodorizing Body Spritzer in my 3B Beauty Box last year. This genius product is a natural deodorant that uses Japanese persimmon extract to eliminate body odors on the spot. It also has green tea and astaxanthin which extend the effectiveness of the persimmon extract for all day freshness. It quickly became a favorite of mine both because it works and is chemical-free. In fact the Japanese persimmon extract doesn't penetrate skin, but works to dissolve odors on the surface of the skin. I'm also a fan of their Purifying & Deodorizing Body Wash with Persimmon and I talked about why in this post. 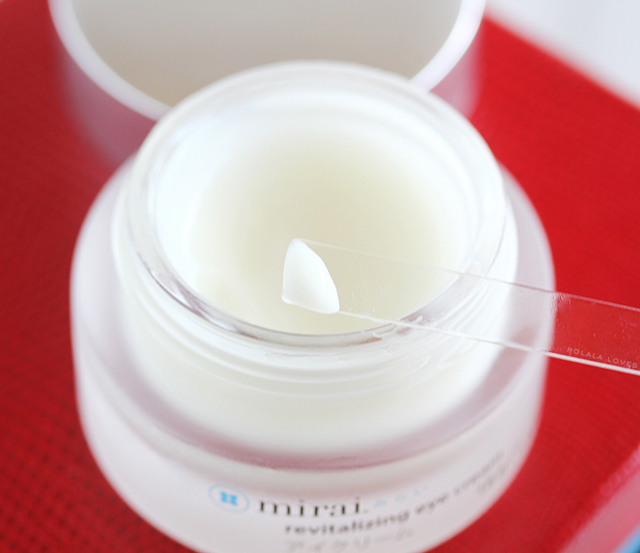 I was reintroduced to Mirai Clinical again towards the end of last year when they were exhibiting at a press event I attended. 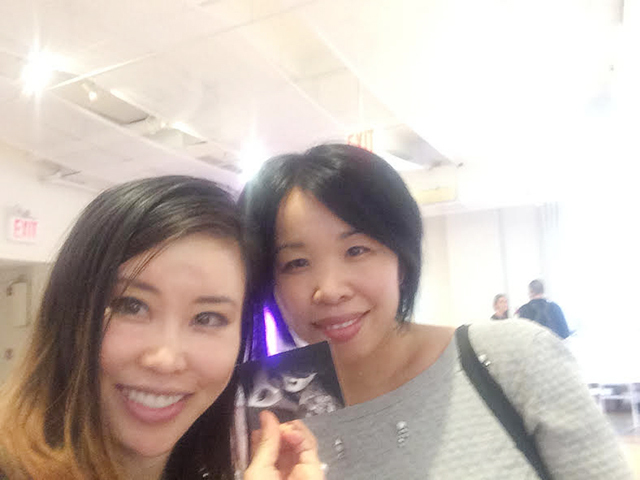 I met the exuberant CEO and Founder Koko Hayashi and got to learn more about about the brand and the exciting new product launches they had coming up. Mirai means "future" in Japanese and this name is apt since the brand provides innovative solutions for both skin and hair health. 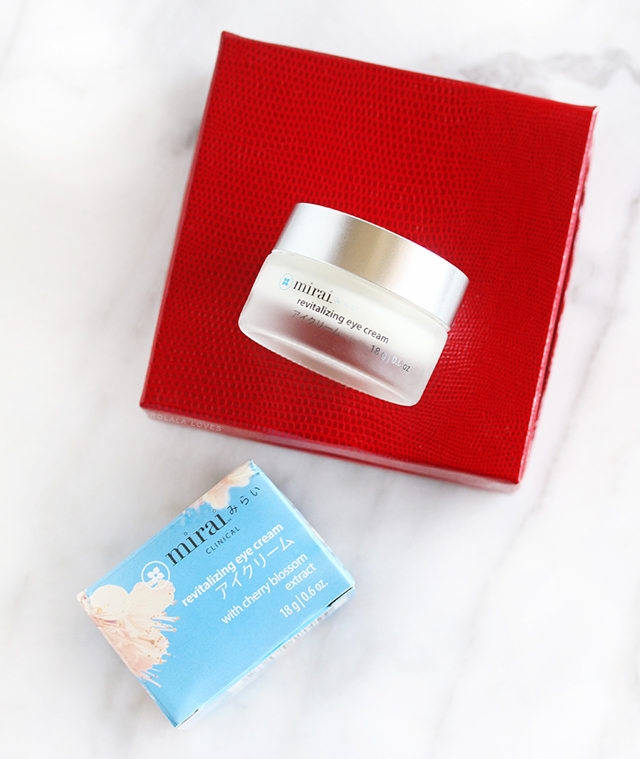 Mirai Clinical Revitalizing Eye Cream is naturally formulated with cherry blossom extract and a range of Japanese botanicals which work to reduce inflammation and help to reduce puffiness, dark circles, fine lines, and age spots. Silk tree extract (alibizzia) helps to lift sagging eyelids, which can be caused by long hours of exposure to computer screens. This cruelty-free product is free of sulfates, synthetic dyes, fragrance and preservatives. This eye cream is housed in a heavyweight glass jar and a spatula is included for dispensing and application. The cream itself is scent-free with a rich almost gel-like texture and a little goes a long way. Once patted on, it does take a few seconds to sink in and once it does it leaves my eye area feels silky and hydrated. After using it twice a day for over three weeks, I can say that I'm impressed with how well it moisturizes and also how it addresses puffiness and dark circles. This was notable on a few nights when I didn't get my best sleep and I didn't wake up with swollen panda eyes. I would have to credit this eye cream since I was not using the Aveda Tulasāra Wedding Masque Eye at the time. Who knew cherry blossoms had such wonderful beauty benefits. This is such a unique eye cream. It's natural formulation is both gentle and effective. And it's really cool that it also offers a lifting effect since not many eye creams out there actually address eye lid sag. This is something my mom mentioned to me as a legitimate aging concern that I will have to watch out for in the future. I've been doing a light upward massage when I apply this product onto my orbital bone area as a measure of prevention. There is nothing I don't like about this eye cream other than I wish that it were packaged in an airless pump. 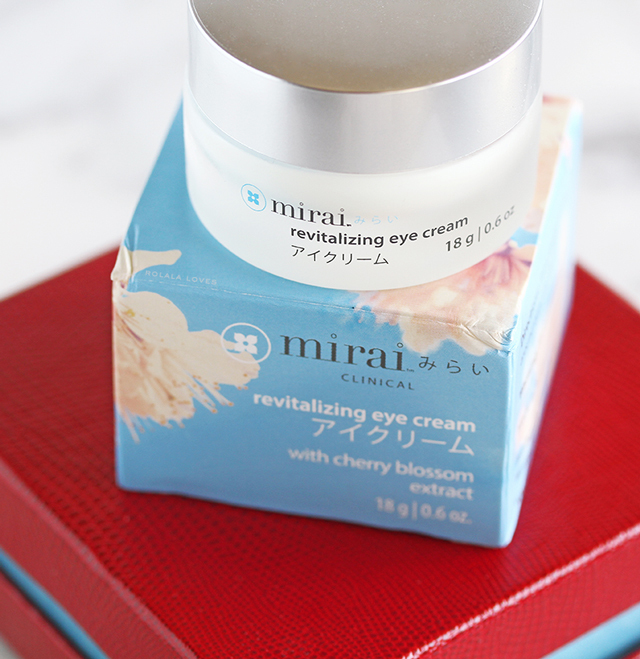 Mirai Clinical Revitalizing Eye Cream with Japanese Cherry Blossom ($54 for 18g / 0.6oz) is available for sale through Amazon and Miraiclinical.com. What do you think of this eye cream? What's your favorite eye cream? Koko and I. She was so knowledgeable and fun. It was actually a pretty cool moment when we introduced ourselves and she recognized my blog because of Rena and Ian. 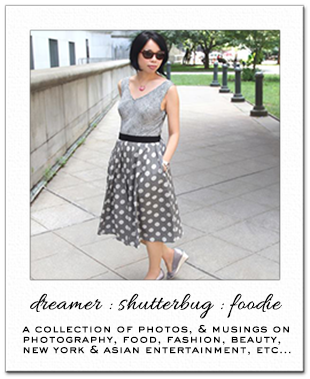 She is holding one of my business cards with their photo. Those two have their own following haha. 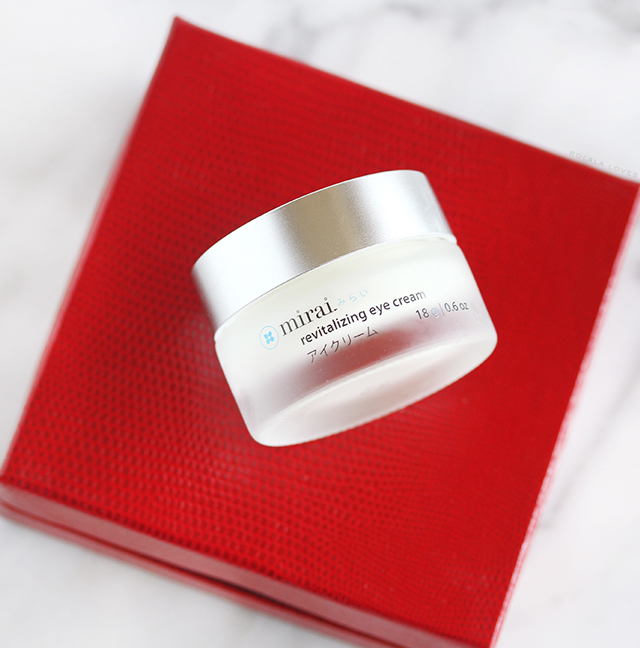 Disclosure: This post is sponsored by Mirai Clinical and features complimentary PR samples received for review. All words and opinions are my own. It may contain affiliate or referral links. For more details about my product review policy, copyright, and information about affiliate links, please refer to the Policies page of this blog. I am using an eye cream with rose extracts at the moment and I love it. This sounds lovely and yes, so unique and I love how it offers lifting effect. I only ever had cherry blossom in my scents, like candles and such, but didnt know it had such ebenfitial effects on skincare. Great she recognized your blog, Rena and Ian are rememberable for sure. Anything that could get my bags away I will try this product sound like a great candidate. I love cherry blossom, interesting product! This eye cream sounds amazing. Something that targets puffiness, dark circles and eyelid sag? I need to try it!! How cool is it that she actually recognizes your blog because of Rena and Ian! This eye cream sounds lovely, Rowena and I'll add it into my list. I have a few eye cream to go through and then I'll make my final call on to which to purchase. Wow that natural deodorant sounds excellent I have tried natural deodorants and they do not work. I may give this a try. And the eye cream too, that is not a bad price. I just hope it really helps with inflammation and puffiness that is my biggest woe. Mirai means future in Japanese, very interesting? I like the idea of a simplified approach to skin care, a lot of products have unnecessary ingredients, who wants that. What a cool moment to be recognized by your blog! I've got to check this out!!! It sounds awesome! I am still recovering from extreme dryness from the eczema fiasco with my eyes and while it's gotten tremendously better I thought a bit more hydrating could help and so I just purchased Murad ultimate moisture for eyes. It arrives tomorrow and so we'll have to see how it holds up. The downside of what recently happened to my eyes is that it looks like I have more wrinkles and I think my under eyelids actually did get a few big and small wrinkles. It's shocking to see! I'll have to take care of that too as well. As for an eye primer, I thought about just not using anything but then decided to order the tarte one you recommended! I'll be actually ordering it today through Sephora. Fingers crossed! I did not know that about Cherry Blossoms Rowena! This sounds great. Rena and Ian are very popular! <3 That should've made you feel very good! I just SMILED.